The company’s most revered work, Dedicated to [ ] because of [ ] (and vice versa), received a standing ovation at its 2007 debut at Judson Church. Dedicated is a complex dance theater work that explores the deeply personal and cultural landscape of gender and violence. Referencing political and pop culture icons, Actor and playwright Richard Kirkwood joins the dancers as an explosive opposing force to the repetition of their movement language. Kirkwood and Comerford co-wrote the text as an ever-changing context that builds on shifts of power. The result is a multilayered dance theatre experience marked by a desire for reclamation. 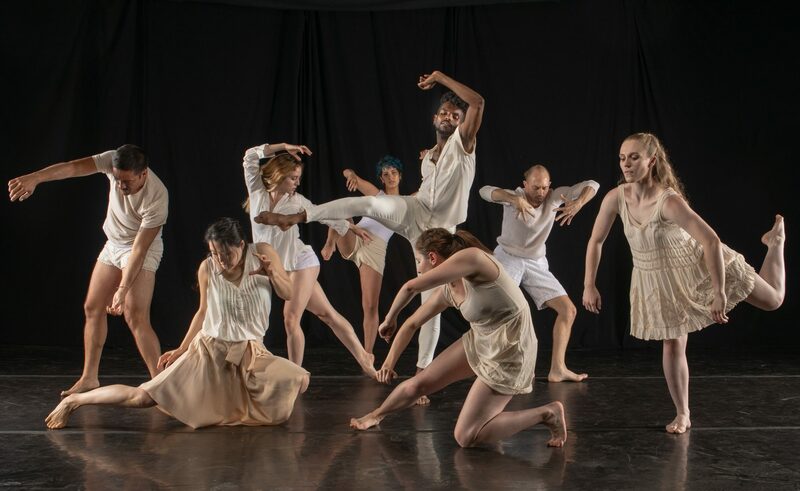 This work has been selected for presentation by the American Dance Festival (2015), the North Carolina Dance Festival, the American Dance Guild (2007) and the Triangle Dance Project (2013).